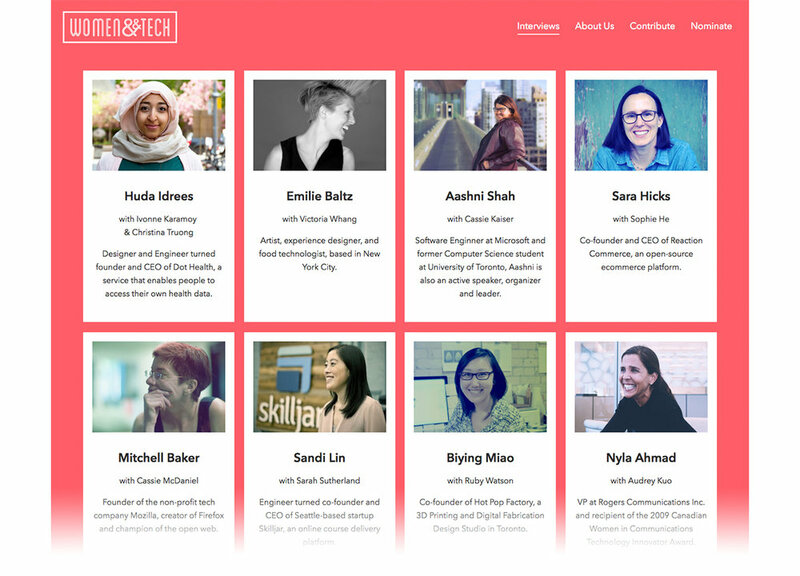 Women && Tech is an interview series highlighting people working in technology starting with Toronto. I manage and coordinate the project working with a small team of volunteers to contribute content, design, and strategy. Our team along with a group of volunteer photographers, editors and transcribers help to sustain and support this project. Sharing stories of smart women working in technology. In 2017, I lead the team in a complete site and brand redesign, putting a greater emphasis on producing more diverse and inclusive interviews. "Twenty years from now, it would be great to say that we built this thing and it had a positive impact in the world."